Indonesia has signed a memorandum of understanding (MOU) with ThorCon to develop thorium molten salt reactors. The resulting Indonesia Thorium Consortium has three partners from the Indonesian side. Together these three companies have formed the Indonesia Thorium Consortium whose purpose is to develop and deploy commercially thorium molten salt reactors based on the ThorCon design. The first plant is scheduled to be commissioned in 2021. INUKI with its license to import nuclear fuel will provide the thorium and uranium as required to fuel the reactor. Pertamina will provide its expertise in moving large scale power projects from cradle to maturity and help navigate the governmental bureaucracy. PLN will provide its expertise regarding siting the plant and connecting with the grid. Importantly, PLN will buy the power generated by the reactor. Indonesia is the world’s leading producer of tin, and part of the material recovered from tin mining is monazite which contains thorium. “Indonesia has an abundance of monazite which could last for the next 1000 years, securing Indonesia’s energy supply if the thorium is used as a nuclear fuel”, says Yudiutomo Imardjoko, CEO of the Indonesian Nuclear Company (INUKI). The country’s National Nuclear Energy Agency estimates that Indonesia has 70,000 tonnes Uranium reserves and 170,000 tonnes Thorium reserves. The estimates do not address whether the reserves are economically recoverable. There are three features Imardjoko highlights as to why Indonesia chose the molten salt reactor among the different thorium reactor types. He cited passive safety, modularity and cost compared to coal. The choice, according to Imardjoko, is either a high temperature gas cooled (HTGR) type reactor with a TRISO Fuel or a molten salt reactor (MSR). The HTGR is a complex design and Imardjoko feels the TRISO fuel is too complex for Indonesian firms to manufacture which means it would have to import it. “The MSR has a simple design, which I think is the simplest design among all the Gen IV reactors. Its fuel is liquid which makes it easy to manufacture and the simplicity of the design makes it very economical to build and to operate – at least on paper the economics could compete with coal,” Imardjoko said in a Thorcon press release. The MW Molten Salt Reactor will use Sodium Beryllium Fluoride salt dissolving low-enriched uranium and thorium fuel. See the Thorcon design page for technical details. Indonesia is aiming for thorium energy to become a significant part of the country’s energy mix, thus contributing its share in the efforts against climate change. “We are not planning to just to build one or two reactors. We are aiming for at least a 20% share of the energy mix by 2050, otherwise we are not addressing the climate change correctly,” Imardjoko said. Time to market among competing MSR designs is a key factor in choosing the design according to Imardjoko. ThorCon’s owner Martingale’s said its expertise in shipbuilding design enables low-cost, high-precision, scalable manufacturing by shipyards. The firm is betting that mass production of nuclear power plants is possible with ThorCon technology. Mr. Imardjoko is impressed with the ‘shipyard’ manufacturing concept ThorCon plans to use. He summed up the urgency of increased energy supply in Indonesia. “ThorCon estimates that an MSR reactor can be manufactured in a year and within 5 years of operation, they believe it can be scaled up, with multiple units, to 5 GW per year. If this is true, it will solve Indonesia’s energy crisis. Nuclear has been defined as the least preferable clean energy option for Indonesia in the National Energy Policy. However, the government has now realized it cannot meet its energy mix goals with renewable energy sources only. As a result, The Energy Ministry has agreed that nuclear has to take part by 2025. Changes in legislation and regulation are needed. According to current regulation, only a proven reactor type can be operated commercially as a NPP. The change that would be need is to authorize an unproven or unlicensed type of reactor such as the MSR to be licensed in Indonesia. The process needs to go through an experimental phase with the supervision of the Indonesian Nuclear Agency (BATAN). Thorcon says it is already in talks with the Indonesia Nuclear Licensing Agency (BAPETEN), which needs to come up with a regulation on how to license an unproven reactor. They have promised to initiate discussions by early next year, which will involve BATAN and The Thorium Consortium. Is the Thorcon approach feasible? I have been asked whether I agree with the outlook represented by the developers at Thorcon. I see the following challenges. First, the general rule of thumb about developing and deploying new reactors, coined by US Navy Admiral Hyman Rickover, is that designing nuclear reactors on paper is easy, but building them is hard. Second, for this reason, and based on the example being set by the TerraPower project in terms of a development timeline for a first of a kind advanced reactor, my view is that that the Thorcon team may be over confident it can deliver a commercial version of its design in five years. It may have at least 5-10 years of work ahead of it to prove the design works, and safely, to build a prototype, and to convince a customer to place an order for one. Fuel development and qualification alone may consume more time that is expected by the firm. Third, perhaps the last place you want to do this kind of project is in a developing nation who’s priority requirements are time to market for proven technology for reliable electricity. The Council on Foreign Relations (CFR) has a detailed report on Indonesia’s business climate which on the face of it is not favorable to success for a large, technologically complex project. CFR reported that red tape, corruption, and economic nationalism remain significant challenges to business in Indonesia; the country ranked 114 out of 189 countries on the World Bank’s most recent Ease of Doing Business Report. Comments from readers are welcome. Note to readers There are multiple thorium-based reactor designs under development. A recent workshop at Oak Ridge National Laboratory (ORNL) in Tennessee (agenda) (presentations) included discussions by leading nuclear scientists and engineers on their designs, status, and plans for the future. The Jakarta Post reports for the week of 12/12/15 that Indonesia will not resort to nuclear energy to meet its target of 136.7 gigawatt of power capacity by 2025 and 430 gigawatt by 2050, a minister said on Dec 12. The move means a previous $8-billion plan to operate four nuclear plants with a total capacity of 6 gigawatt by 2025 will be canceled. It is unclear how this policy announcement affects the ThorCon proposal. I’ve reached out to their team for comment and will report back here if they provide a response. The ThorCon plan was to find a country willing to use the air plane licensing model (test exact prototypes throughly). Indonesia has the fourth largest population in the world with 41% living on less than $3.10 a day. Lots of people need electricity. The initial market can be Indonesia. Indonesia has lots of islands and lots of coast line. Islands need smaller reactors that can load follow (a strength of the ThorCon dasign). Islands are a natural for barge delivery from a central shipyard. Indonesia has several shipyards. The shipyard building skills are already in-country. Maybe the government will be the large investor? We do indeed have challenges to bring the prototype ThorCon prototype into operation by 2021. All reactors start out as paper reactors, but unlike Rickover’s, our “paper” is an extensive set of 2D and 3D models that drive the neutronics and FEA codes that enable testing our design ideas rapidly and accurately. Unlike Rickover, we have the advantage of knowledge of two proof-of-concept prior liquid fuel reactors operated at Oak Ridge. The ThorCon team has the advantage of experience in designing hundreds of thousands of tons of the world’s largest ocean-going vessels. These are composed of precision welded steel plates, tanks, piping, valves, heat exchangers, pumps, motors, etc. These are the same components that compose a liquid fuel nuclear reactor. Fuel qualification and development is not nearly such an issue for liquid fuels as for solid fuels. The fuel is homogeneous, with no possible hot spots. Heat transfer is efficient. Preliminary fuel specifications are being forwarded to one of our Indonesian partners. The specifications for the initial liquid fuel reactor are to be put to bid and subsequently contracted for with one of the advanced shipyards in that part of the world. Preliminary nonnuclear testing will take place there; the completed unit will be transported by sea to the Indonesia shoreside side where fissile fuel will be loaded and power testing begun. In this way ThorCon utilizes the experienced, skilled labor and engineering available at the shipyard site, reducing the demand for such skills at the initial Indonesia prototype site. There is indeed supplier co-operation required to complete the engineering and design for unique aspects of such reactors, such as molten salt pumps. However moving liquids about is simpler than developing the high-reliability mechanical systems needed for shuffling solid fuel assemblies used in LWRs or SCFRs. 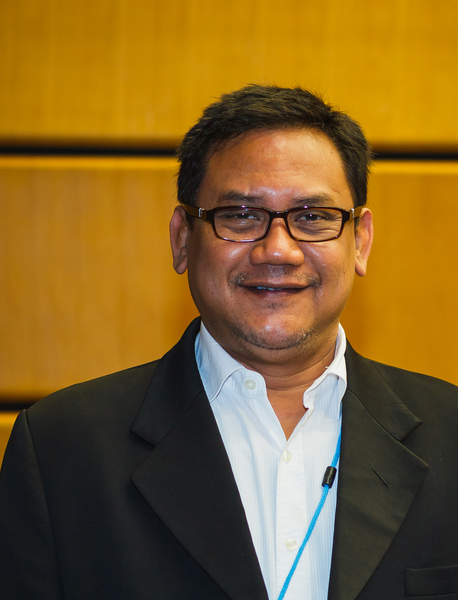 Indonesia is working with the IAEA to build regulatory capabilities. Indonesia is already planning to expand its power distribution grid to accommodate 20 GW of new power generation called for in the current plan. An easy-to-read overview is at http://thorconpower.com/docs/domsr.pdf. More technical data is in the Executive Summary at http://thorconpower.com/docs/exec_summary2.pdf. 1) Every reactor is a paper reactor at some point but point is granted that we have a lot of work to go and it isn’t a sure thing. 2) Five years would indeed be short. The plan is to build a demonstrator and within five years be able to connect it to the grid. Endurance tests will still be ongoing at that point. This is less ambitious that having a production reactor ready in that time but still aggressive. One of the nice things about liquid fuel rather than solid fuel is that we don’t have the same challenges to ensure cladding integrity and no fissile hot spots in the fuel. 3) Developing nations will go for the most affordable power. Today that means coal – and that is their baseline plan. We hope to develop the technology to give developing nations a different choice. As far as being the last place to do this – recall that the US made lots of progress in nuclear in the late 50’s and early 60’s during a time when we were developing the skills to regulate nuclear. It will be a challenge for the Indonesian regulator to develop the regulations as we test the prototype, but actual testing is required for a new form of reactor – proven, validate simulation codes don’t exist for molten salt reactors yet. We need a demonstration plant to develop that. A) Supply chain issues for first of a kind components – Yep this may well be a challenge we are just starting to evaluate vendors. For LWRs the vendor supplier base is quite limited due to the engineered safety where public safety is dependent on function of the safety equipment. In a fully passive design like ours safety depends on physics – like gravity, steam rising in water, salt expanding when it gets hotter so there is almost no equipment failure that can threaten safety. This opens up the vendor possibilities substantially. B) Engineering and skilled trades shortages. Our design is based on shipbuilding and will look very familiar to the ship builders. It will add about 1% to their workload for a year to build out our demonstration reactor. Indonesia has had a nuclear engineering program for decades – their problem is more finding nuclear related jobs for their graduates. C) Immature regulatory capability to do a safety design review of a first of a kind advanced reactor. Yes – and also true everywhere in the world – there are no regs for a molten salt fueled reactor. They will have to be developed and tested as the demonstration unit is slowly brought up in power – just as once was done for LWRs. D) Lack of clear boundaries between the government and the vendor. We do intend to work together like the FAA and aircraft companies to solve problems and move things forward rapidly. The Indonesian grid has plans to add 35 GWe over the next 7 years. Surely having 5GW of this be nuclear isn’t going to be a problem for their grid.